To be totally fair I don't really carry a lot of make-up with me, I just have a "make-up bag" in which I carry some essentials. The only make-up is a lipstick, which usually varies from seasons to season or what I'm wearing that day and a concealer, just in case. 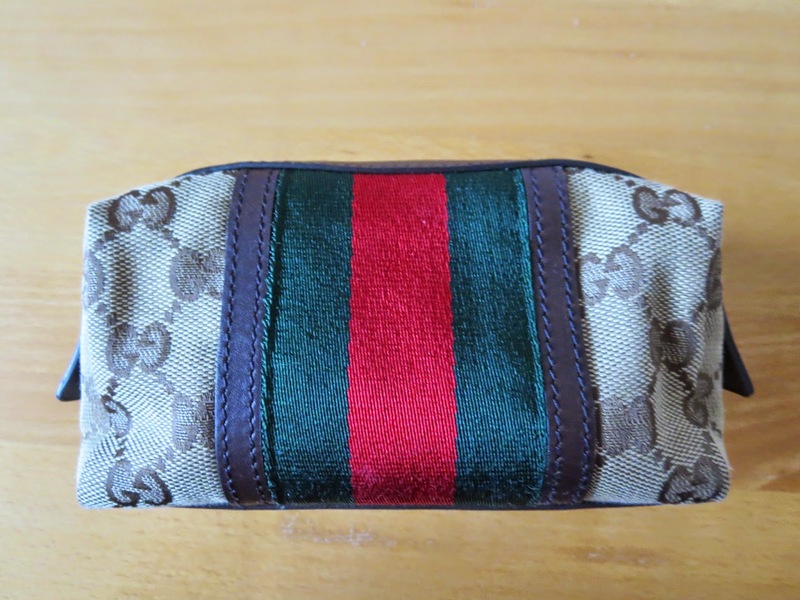 The pouch I am currently using is from Gucci, which I've had for about two years or so and am really happy with. At the moment I'm using the NYX full coverage concealer and the MAC lipstick in Pure Zen. I always try to have some sort of pills against headaches or the flu, something multipurpose and at the moment it's paracetamol. Also very important, try to keep some hand wipes and a toothbrush with a mini toothpaste, you never know when you might need them. I like having a small comb in case my hair gets all tangled up, some hand cream if my hands get dry and a lip balm, especially in the colder months when your lips need help to stay hydrated and plump. Something I always try to remember to put back is a hair tie with a bobby pin clipped to it. We all know bobby pins disappear mysteriously, which is why I clip them to my hair tie. You should try to keep band aids in your bag, for blisters or if a friend needs one. The last thing is a perfume sample or a Travelo, which is a small container that you can fill with your favourite perfume. Mine is filled with The Body Shop Pink Grapefruit perfume. 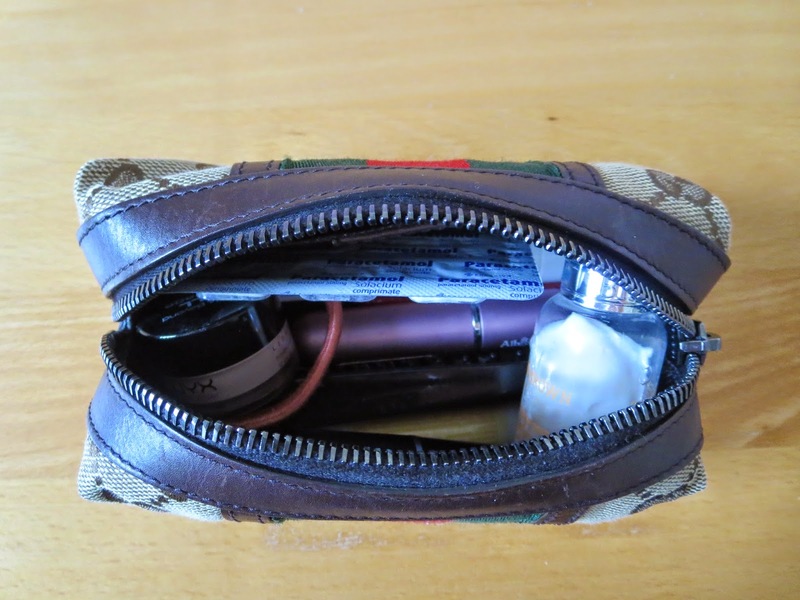 What do you keep in your make-up bag?